The Technische Universität Berlin (TU Berlin) is an internationally renowned university located in the center of Germany’s capital. Founded in 1879, it is one of the largest and most prestigious research and education institutions of the country. The university alumni and professor list include National Academies elections, two National Medal of Science laureates and ten Nobel Prize winners. Today, with more than 30,000 students, TU Berlin is one of the largest universities of technology in Germany, offering a wide range of subjects. More than 18% of TU Berlin students come from abroad. TU Berlin has a distinctly cosmopolitan flair; it maintains a number of international cooperation projects and has an exceptionally high ratio of international students. More than 5000 students from 130 countries study at TU Berlin. Moreover, many scientists from other countries teach and conduct research here. The main campus of the university is located in the centre of Berlin and is easily accessible from all parts of the city. You can find out more about the University on its official website www.tu-berlin.de. 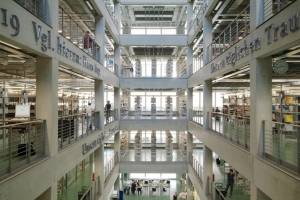 The main library of Technische Universität Berlin is one of the most modern science libraries in all of Germany. 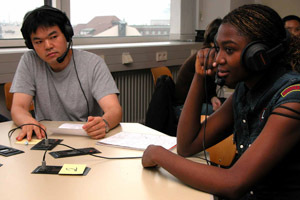 Our Modern Language Center (ZEMS) offers a wide range of foreign language courses. 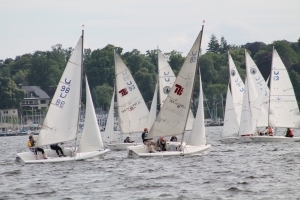 The sports programme at Technische Universität Berlin is varied, from diving, sailing, martial arts to yoga, dance and pilates.